Since your bathroom plumbing system is designed to provide comfort, it will always be to the best of your interest to have a Perth Bathroom plumbing service every now and then. You would not want to be caught in the middle of your daily bathroom routine only to find out that there is something wrong with the plumbing. Can you imagine what a big pain that would be? Without a doubt, it would cause great discomfort and bring annoyance if you would have to find out that your toilet is not flushing or if there is no water in the shower just as you are getting ready for work. Every now and then, you might have done some minimal repairs with the plumbing on your own as they are easy enough to do. However, there are instances wherein the extent of the plumbing issues that are too difficult, too extensive, or too laborious for you to spend time on. 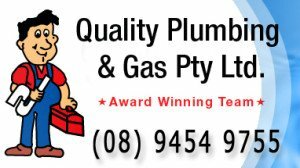 During those instances, you should never hesitate to immediately reach out to the professionals for expert Perth plumbing service. 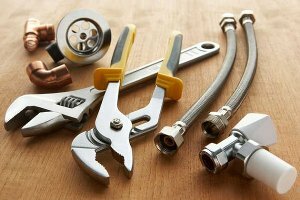 If fixing or repairing the plumbing system is beyond your skills then you can always depend on Perth plumbing service professional. Our plumbing consultants are competent in terms of diagnosing the problems and providing absolute solutions for restoring your bathroom plumbing devices and bring you the comfort and convenience that you want to experience again. Most of the time, you may be too busy or preoccupied to notice the little signs that there are some parts of your bathroom plumbing or fixtures that need to be attended to using Perth Bathroom plumbing services. Do you hear noises when you flush the toilet? Does it create unusual abrasive sounds especially if the tank is filled up with water? If you answered yes to both questions, then you just might have some issues with your toilet fill valves. Any damage or misalignment of your fill valves can cause unbearable noise when used. Aside from that, faulty fill valves can lead to wastage of precious water resources. If left unattended, you will end up wasting gallons of water, which in turn would cause a dent on your utility bill. One quick solution for that would be to tighten the valves. If you have already done that and the issue still persists, the next thing that you should do is to immediately contact the experts of Plumbing in Perth. Are you starting to notice little leaks on your toilet? It may be caused by a defective toilet flapper. If you just ignore it, the damage will just become bigger and you will eventually get puddles in your bathroom from the leaking toilet. It surely is a good idea to just leave the work in the hands of the specialists in Plumbing in Perth instead of allowing the damage to worsen through time. How about the smell of your bathroom? Do you find yourself gagging whenever you walk inside? Does it smell like sewage? If you encounter any unpleasant odor in your bathroom then it is an indication that there are concerns in your toilet plumbing system. The main causes of a smelly toilet are damages to your drain pipes, insufficient water in your toilet bowl, or your toilet’s wax ring being defective. Regurgitating toilets and can also cause a massive headache. You can save yourself from the hassle and the wasted effort by getting a Perth plumbing service at that very moment. Your plumbing problems will be gone in an instant! Toilet problems can be a nightmare to deal with. The best way to deal with them would be to turn over the reins to the plumbing experts. After the toilet is fixed, you would surely want to keep the problems from recurring. Surely, you would not want to go through the harrowing experience of having to use a defective or leaky toilet. As such, Plumbing in Perth services become necessities. Toilets need to be unclogged through regularly and thoroughly cleaning the pipes. This may seem to be an easy feat to do on one’s own, but there is actually the risk that a simple mistake would cause extensive damage to the plumbing system. The best way to go would be to employ a trusted and reliable local plumber. Another issue that needs particular attention is the bathtub pipes systems. If you encounter foul-smelling odors in your drains, then you might have problems with your tub traps. 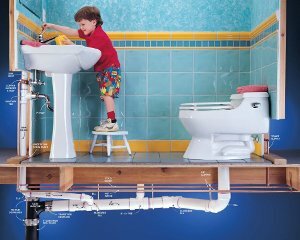 It is a specific part of your pipes that protect your bathroom from the terrible-smelling sewerage system. All the exposure to these toxic fumes can cause health issues and bring discomfort to the people using the bathroom, so it is best to have it checked by a professional plumber. Clogged drains can create an extra room for dirt, hair, and other materials that are deposited in the tub drain. This will make it too difficult for water to drain. If left ignored, this will cause eventual irreparable damage to your bathtub. It can be quite costly to replace a broken bathtub, so it would be best to nip the problem right in the bud. Perth plumbing service providers have the complete set of tools that can be used to get rid of clogs in your drain and keep your pipes clean all the time. As you probably know, pipe maintenance really plays a big role in keeping a bathroom comfortable, clean, and sanitary. If you are hesitations because you are worried about the costs, you will be glad to know that Perth Bathroom plumbing is affordable! Just because you do not want to spend too much, it does not mean that you cannot have the best Plumbing in Perth. The comfort that it will bring you will be more than what it will cost.